On Tuesday Tim Hunter and Sydney Henley-Roussel from BBC Guernsey popped along to the GSPCA to see behind the scenes and help GSPCA Animal Care Assistant Beckie Bailey. Tim and Sidney got to meet many of the animals and interview Beckie about the Shelter and the many animals in her care. During the Sumer Jim Cathcart from BBC Guernsey popped up to the GSPCA for a guided tour with his daughter Alicia. Jim who worked in radio for 30 years finished at BBC Guernsey last week and the GSPCA team and animals wish him all the best in his new career with St Johns Ambulance where last night he and a colleague helped rescue an injured pigeon which is now at the GSPCA after the GSPCA Ambulance popped by St John’s HQ last night to collect the poorly bird. Over the years at BBC Guernsey staff and volunteers from the GSPCA have been interviewed countless times by Jim. With all of the conservation work going on at the GSPCA and planting thanks to St Andrews Floral Group we have to stop and think of the plants that can put our pets at risk. 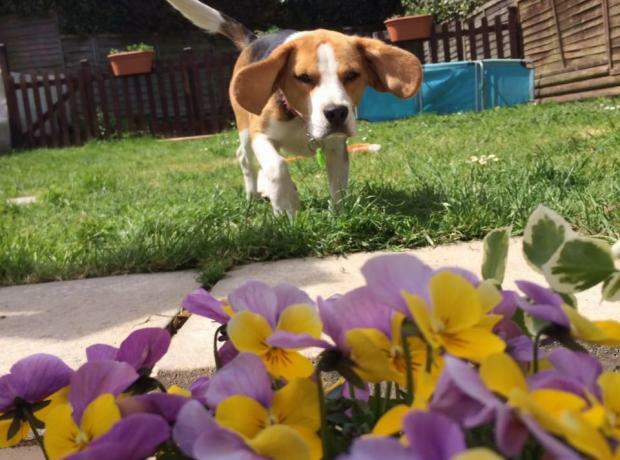 This thought and after a recent BBC Guernsey interview has prompted the GSPCA and St Andrews Floral Group into putting together a garden display to help pet owners. Tomorrow on Saturday 20th September at 11am you can here all about how Ollie Guillou learned about the work that goes on behind the scenes at the GSPCA Animal Shelter in St Andrews. He got to handle a few of the animals and even muck out. 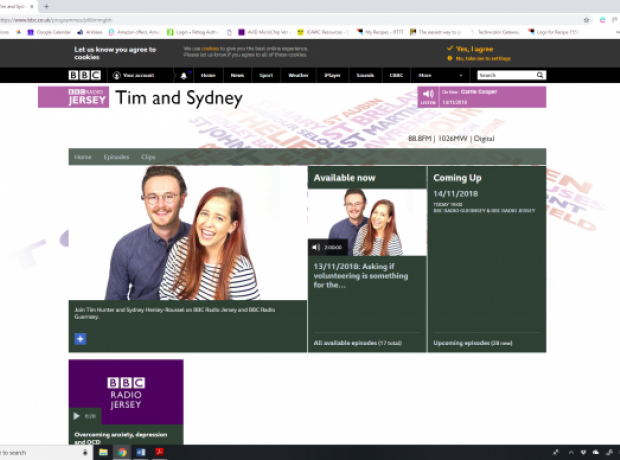 To listen to BBC Guernsey online please click here. Yesterday staff and some giant animals popped along to BBC Guernsey to talk to Euan Mahy about the Animal Welfare Seafront Sunday. Shelter staff took over the studio with two kittens and 4 giant mascots. To find out all about the day and how you can sponsor and man a giant animal on the day please read below.